Nobody talking about western PA driver Joey Zambotti taking the first 4 races of the year down at Hagerstown. Way to go Joey! He teched an illegal wheelbase on the 4th one but to be fair the whole top 5 was illegal on wheelbase being too short. you can't fault the guy for working on his setup an in turn making him fast. he did pass tech didn't he.....jmo. I was told his is the only crate engine car in the field!!! gimmicky tricks? I need to know more, please do tell so I can use! The stock cars up here are a different animal than what they run down that way. So he is running a Crate Motor against open motors straight up ? Interests:Life, Dirt racing, H-D, Golf, Corvettes, Street Rods. He's running a crate engine in a fab'd chassis. Those guys down there are running mostly if not all home built cars. 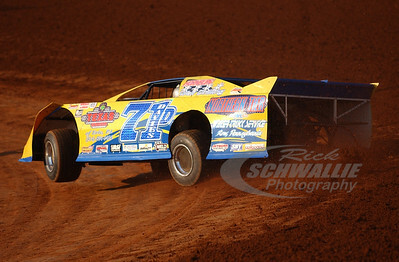 Hagerstown big 1/2 is a perfect track for his motor and chassis combo. what the hell is a gimmicky fab'd chassis and where do I get one? Edited by march66, Today, 03:53 PM. Racer67. Maybe you need to go look at some of the sportsman chassis of today. You obviously have no clue. Call Chris from S & S chassis I'm sure he will explain it to you. Very nice guy and really will be able to help you out. Gimmicky, LOL.